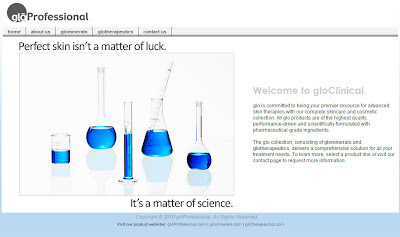 gloProfessional's launch of gloClinical.com brings a wealth of resources for skin care professionals who seek a thorough understanding of the clinical applications of glotherapeutics and glominerals. One of the great resources offered is a before and after progression of a patient treated with an aggressive peel. It uses gloProfessional's Reveal Imager camera which shows a range of images that demonstrate the damage under the skin. Surface damage, vascular condition and sun damage are visible through the Reveal Imager's photographs. Follow the progression to see the effectiveness of the TCA 15% peel and pre and post treatment with Retinol CS and gloEnzyme as well as the protection and coverage provided by glominerals.